Baking is very therapeutic, you take out all that mental stress by kneading and punching that dough, and then you bake it for later to enjoy an absolute pleasure. I give you my recipe for Soft Dinner Rolls. 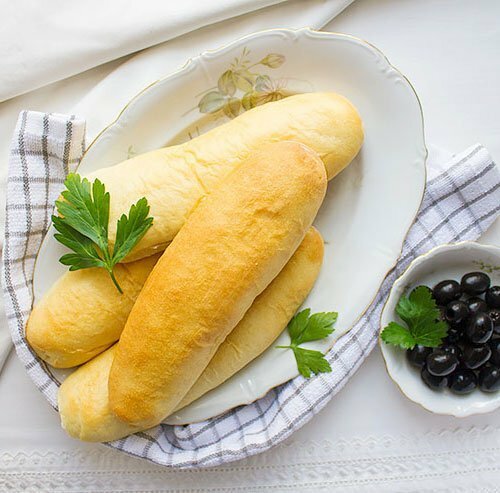 We do buy dinner rolls from the store most of the time, I’m a food blogger and love to bake but sometimes, there is just not that much time to bake and do other house chores. 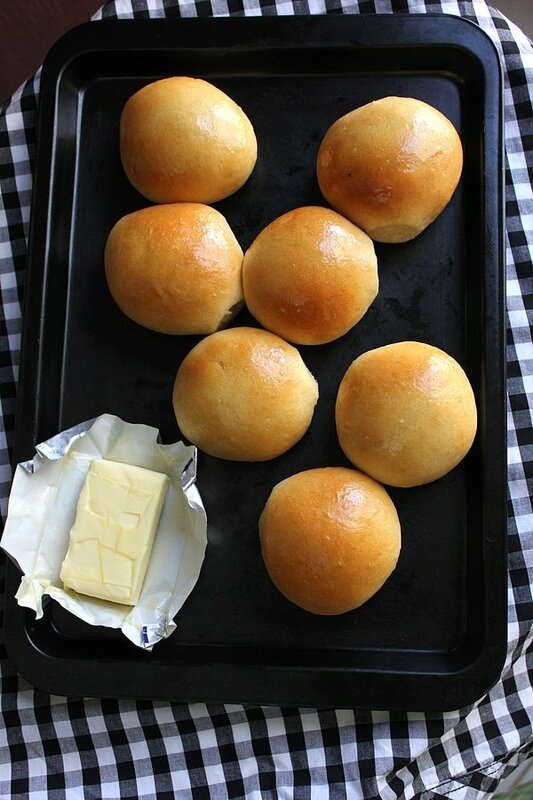 However, there is nothing better than homemade soft dinner rolls. It’s fresh and made with love. Who doesn’t like the smell of fresh baking to fill his house? 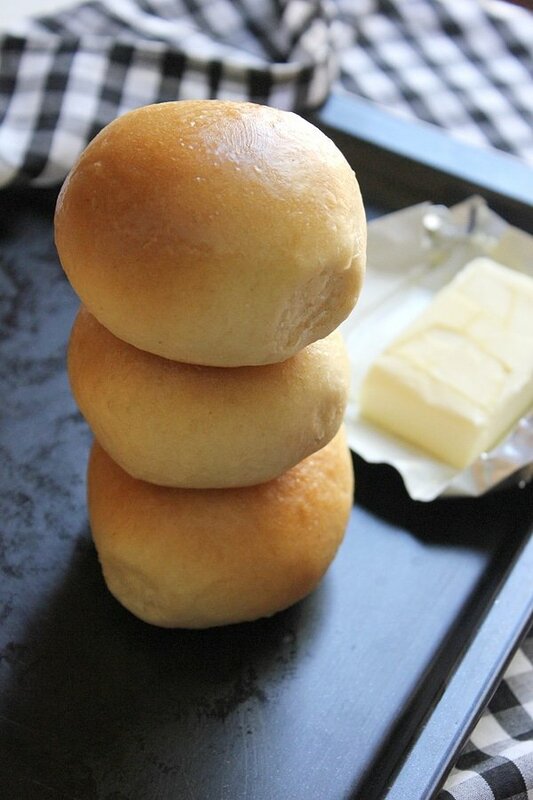 Unlike store bought, these soft dinner rolls are so tasty I for breakfast have one plain roll with a glass of milk. 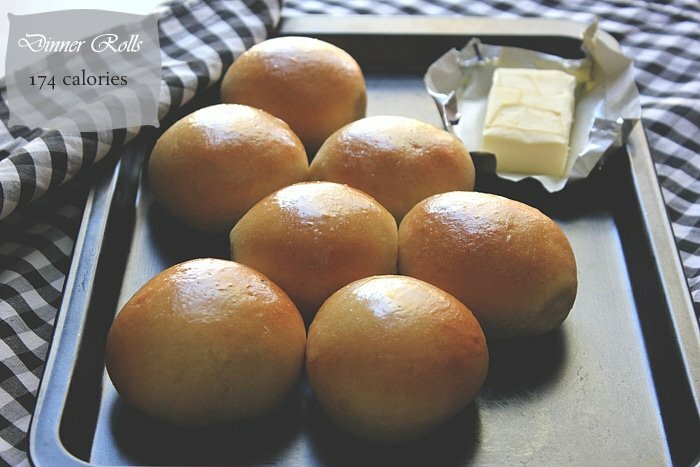 These soft dinner rolls were made for those who love butter in their dinner rolls yet want to control their calorie intake. 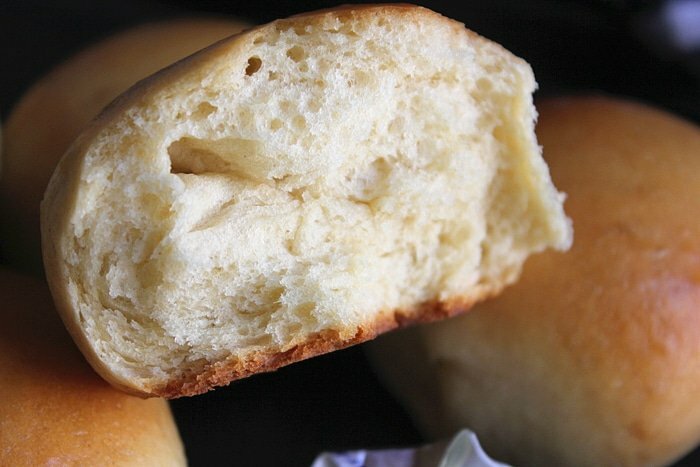 So now you know how many calories each dinner roll have, and all you have to do, is to enjoy these soft and delicious rolls is to control the portion. 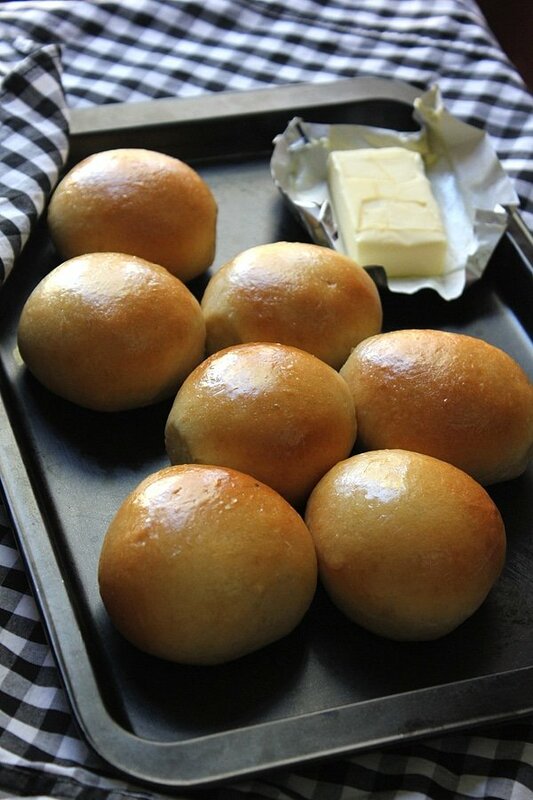 These soft dinner rolls are so tasty, you can have them plain with a glass of milk. ** 1 1/2 tablespoon milk for brushing the rolls before baking. ** 1 teaspoon melted butter for brushing the rolls after it is baked. - In a small bowl, add butter and milk, microwave until butter melts. - When the milk is warm, add the yeast and sugar, stir, cover, and keep aside for 10 minutes. - In a bigger bowl, whisk flour and salt. Make a well in the middle and crack an egg. 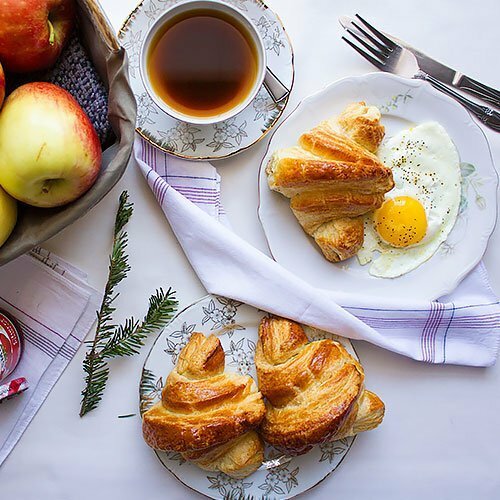 - Beat the egg without combining it with flour. Pour the yeast mixture on the egg and beat well. 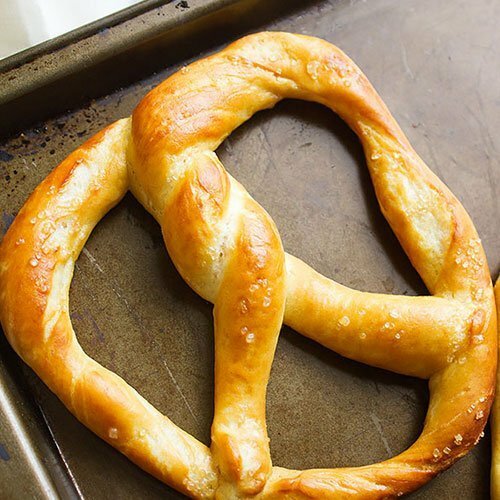 - Start combining the yeast and egg mixture with flour. - You will have very sticky dough but keep on mixing for at least 3 minutes. - Sprinkle a teaspoon of flour on the dough, knead lightly for few seconds, just to stop the dough from sticking. - Cover the dough and place in warm place for 1 to 1 and half hour. - Knead the dough for few seconds, divide dough into eight equal size balls. Place in greased pan. Cover and let the balls rise in a warm place again for about 30 minutes. - Brush the rolls with milk and bake in preheated oven 190C/375F, for 17 - 20 minutes. Remove from pan and brush with melted butter. 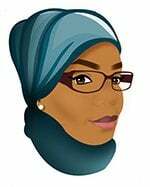 Muna, these rolls look really soft and delicious. Ain’t the homemade bread the BEST?! I can’t agree more, also your beautiful bread loafs and baking inspired me to bake more and more! These are just beautiful and I can only imagine the amazing aroma. I would eat them for breakfast, lunch and dinner!! Thank you Chris, They are great to have at anytime. Hi Vimitha, Instant yeast doesn’t need proofing, so add it with the dry ingredients. You should decrease the amount of yeast so instead of 1 1/2 teaspoon dry yeast, use around 1 or 1 1/4 teaspoon instant yeast. Hi Muna! Your recipes are so simple and easy to follow, and the dish turns out dekicious. Thanks for all your recipes, specially the breads. I dreaded baking before I came across your recipes. I have a request for you, could you plz give a recipe for a healthy oatmeal bread? Can we use the same recipe for bread. Hi Nithu, Yes you can, but the baking time will be longer, so keep an eye on it while baking.